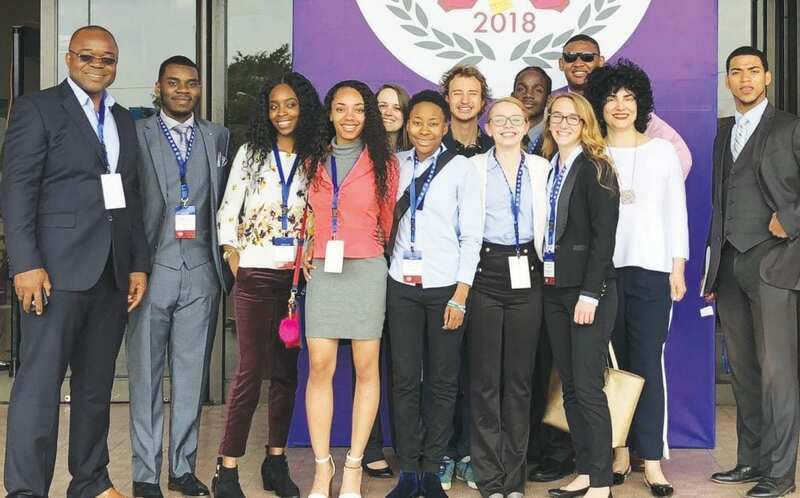 Savannah State University (SSU) students served as delegates at the 27th session of Harvard World Model United Nations (WorldMUN) held in Panama City, Panama, March 12-16. SSU represented Romania and Spain, and engaged with more than 1,400 students from 85 different countries across the globe. SSU students participating in the Harvard WorldMUN conference were: Taylor Bontrager, a senior biology major and SSU Model UN President; Jessica Ahlers, a senior marine sciences major; Wisdom Akpanagan, a senior homeland security and emergency management major; Rufus Crane III, a junior political science major; Shaakira Ferron, a senior accounting major; Janae Jackson, a sophomore business administration major; Naomi McGee, a senior mass communications major; Darius Sanford, a senior marine sciences major; Antwone Smoak, a senior political science major; Zackery Umberg, a sophomore marine science major; Candice Vinson, a senior marine sciences major. The SSU delegation was able to take a private tour of the Miraflores Lock at the Panama Canal. Oscar Bazan, executive vice president for Planning and Business Development for the Panama Canal Authority, hosted the tour.